The Yield Uganda Investment Fund, is a new impact Fund arranged by Deloitte Uganda and Pearl Capital Partners Uganda (PCP). An initial €12 million (Ugx 46 billion) has been made available to provide much needed access to capital for small and medium agri-businesses in Uganda. The Fund is expected to attract additional €13m (Ush 49.8 billion) by the end of 2017 to reach €25 million (Ush 95.8 billion) in total commitments. Yield is a partnership between public and private investors that will offer innovative and tailored financial solutions, using equity, semi-equity and debt, to about 20 Small and Medium-sized Enterprises (SMEs) having the potential to generate both strong financial returns and significant social impact. The Fund will be managed by PCP Uganda who will make investments in the range of €250,000 to €2 million (Ush 958.3 million to Ush 7.7 billion). The Fund targets agriculture-related businesses across all value chains including supply of agricultural inputs, production and agro-processing within all sub-sectors, post-harvest storage and distribution, but also peripheral activities such as transportation, communications and certification. The Fund seeks to support businesses with a clear competitive advantage and ambitious local management. The Fund will benefit the economy by improving an estimated 100,000 rural household livelihoods, improve access to markets for an estimated 26,000 farmers, creating jobs and employment opportunities, ensuring food security while generating income, foreign exchange and new export opportunities, all fundamentally contributing to Uganda’s economic growth and goal to eradicate poverty. “The launch today marks an important milestone. 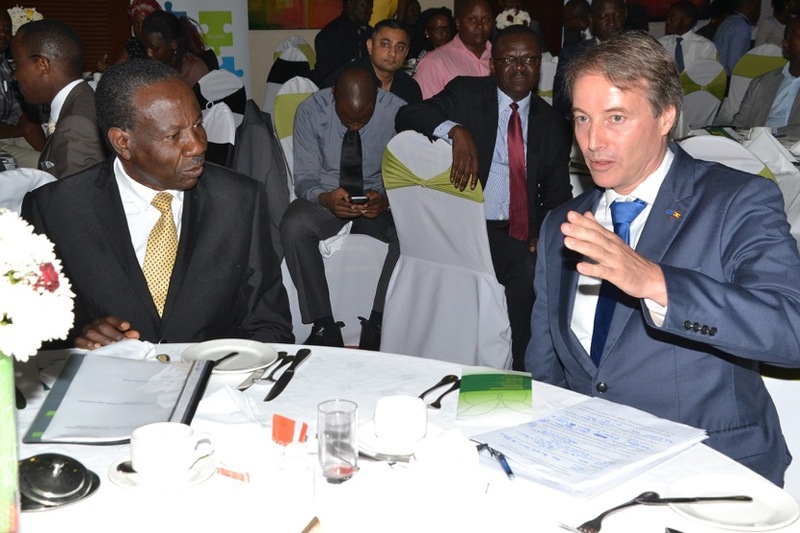 In creating this investment Fund, the EU has listened and is responding to the needs of Ugandan agribusiness. This is a first of its kind to be funded by the EU where we are blending private equity and grants and we are proud that Uganda is a beneficiary. Yield Uganda Investment Fund is the result of continued efforts and commitment from the European Union to support the agribusiness sector by lowering the cost and risk of investments. 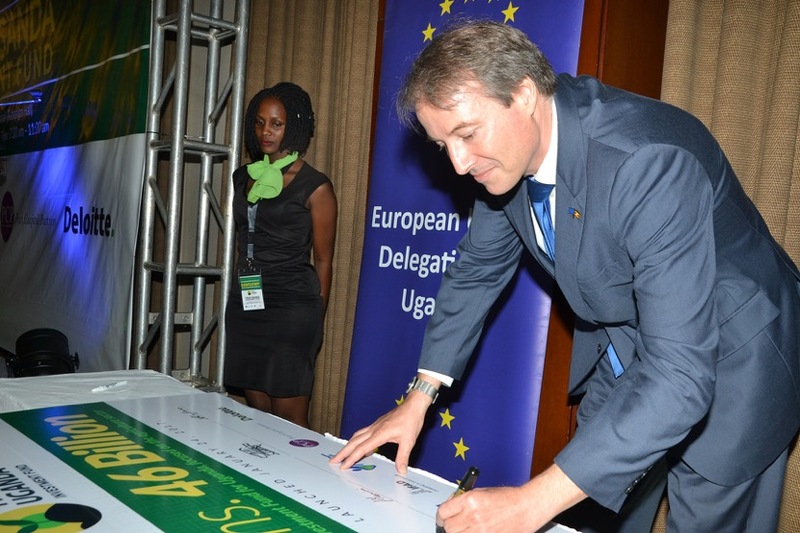 This Fund will offer presently lacking long-term capital to entrepreneurs in the agricultural sector and contribute to the modernization and expansion of agribusinesses companies while providing quality financial returns for investors,” said EU Ambassador to Uganda, H.E Kristian Schmidt. "Successful implementation of this intervention will provide us with the desired lessons upon which future Government support to SME’s involved in Agribusiness development will be anchored on. I therefore urge all stakeholders, (The EU, IFAD, the Ministry of Finance Planning and Economic Development, Deloitte and Pearl Capital Partners) to work hard and ensure that the intervention is successful,” said Hon. Matia Kasaija, Minister of Finance Planning and Economic Development. High-quality business development support (BDS) will be critically important when modernizing and expanding Yield Uganda’s investee companies to make them more effective, growth-oriented and profitable. An integral and complementary part of the Fund’s investment process will be to support the operations of its investee companies through matching grants for BDS. Typical areas of the Fund’s BDS support will include company governance, accounting, budgeting, auditing and tax compliance, innovation and technology transfer, marketing studies, and the adoption of international product quality and safety standards. This extra service to Yield Uganda’s investee companies will be funded with grants from the EU managed by IFAD. “Engaging with the private sector in agribusiness development is a key priority for IFAD. Leveraging traditional modes of financing with innovative tools such as the Yield Fund is needed to fast track development, foster the transformation of the rural economy and ultimately achieve the Sustainable Development Goals by 2030,” said Alessandro Marini, IFAD Country Director for Uganda. “IFAD is delighted to be part of this initiative which combines a solid social impact proposition with attractive financial returns to create a win-win situation for Small and Mediumsized Enterprises and smallholder farmers in Uganda. The expertise of Deloitte and Pearl Capital Partners who have already been part of similar undertakings will be key to the success of the Fund,” he added. The Fund’s investment strategy is to maximize the long-term profitability of its investee companies, while observing internationally-recognized social, environmental and governance standards. “Agriculture plays a vital role for economic growth and sustainable development. Investment in the sector is an effective instrument to alleviate poverty and enhance food security. Evidence suggests that gross domestic product (GDP) growth originating from agriculture is twice as effective in reducing poverty as GDP growth linked to the non-agricultural sectors, yet the sector is still underfunded. The Yield Uganda Investment Fund is a great opportunity for NSSF to support the sector,” said NSSF Managing Director, Mr. Richard Byarugaba. He added that the investment is in line with NSSF’s diversification strategy to increase exposure to equities to about 25% of its total portfolio from the current 16%, as well as supporting home-grown companies that have good corporate governance and are willing to provide NSSF an exit. “Deloitte Uganda is happy to be involved in making an impact that matters through provision of much needed financing for SME businesses especially in the agriculture space,” said Mr. Norbert Kagoro, a Partner at Deloitte Uganda. “The team has worked very hard to bring this Fund to this stage and we shall continue to support the Yield Fund through the operation phase”, he added. PCP Uganda’s Managing Partner, Mr Edward Isingoma said: “The Yield Uganda Fund is a unique testament of the relevance of agriculture to Uganda. This Fund fully aligns previously dispersed interests to one goal, providing access to flexible financing for agriculture. As a Uganda focused Fund, it is a first, and will aim to achieve developmental impact alongside financial returns while transforming livelihoods in many different forms in the country."